Although I don’t use it for the bulk of my work at home income, I love getting paid to post in forums. It’s so different than some of the other types of work I do. I get to write, which I love, but I also get to keep each item short and I interact with all kinds of interesting people. 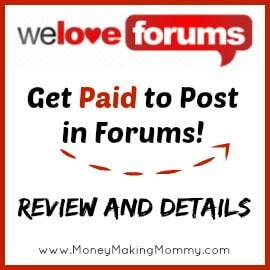 One company that’s actively seeking freelancers is We Love Forums. Personally, I haven’t done any work for this company, but this is what I’ve learned so far. 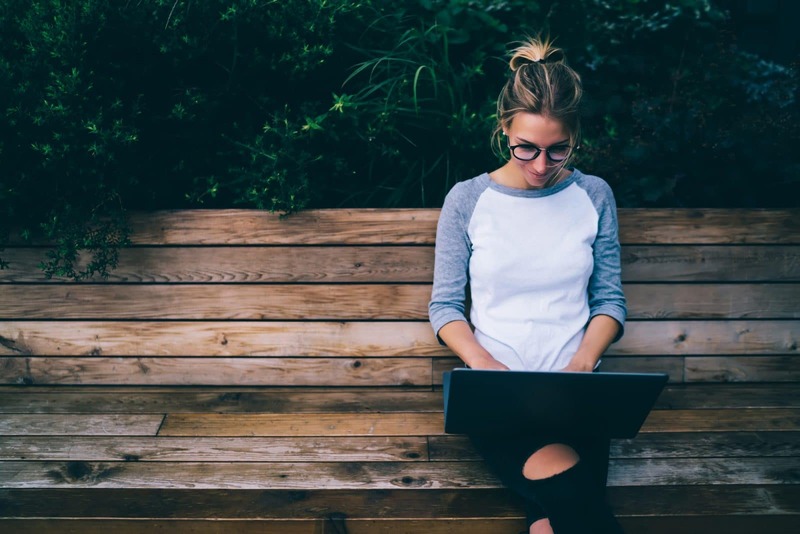 If I understand things correctly, We Love Forums provides its freelancers with specific instructions for the company’s clients that tells you exactly what kind of posts you’ll have to create. Read the instructions carefully because some of the clients include special instructions that will need to be heeded or you won’t get paid. The We Love Forums management promises that you’ll only receive assignments on topics for which you’re the best qualified so you should find the work interesting. I’m guessing that the exact length of your posts will be determined by the instructions you’ve been given, but according to the We Love Forums homepage, no post will be shorter than 25 words. If that’s true, it should take you very little time to draft and post the information. I was actually really impressed by the amounts that We Love Forums is prepared to pay. As a contractor for them, you can expect to earn between $0.10 to $0.25 per post. Considering the number of posts you should be able to put up during an hour, it’s a pretty good salary, certainly more than I’ve seen some content mills offering. We Love Forums pays via PayPal. It’s important to note that We Love Forums evaluates the work you post and they will penalize you if they think you’re not following the provided instructions. One of the things I really like about We Love Forums is that they don’t just pay for the work you’ve done. If they analyze your work and determine that you’ve done a good job, you’ll get a bonus. I love that this is a company that rewards freelancers for hard work. I hope more companies follow We Love Forums example. While I don’t yet work for We Love Forums, I fully intend to turn in my application as soon as my schedule opens up. If you could call me I have a few questions to ask of you. Thanks so much for spotting this error! I have made sure to change it. Hi – Thank you for all the word you do finding leads for anyone to make money. That would mean if you write the minimum in a post and are paid the minimum, you’re getting $.004 per word. Even if you get the quarter per post, at minimum word count, that’s a penny a word maximum. That means you’re only making anywhere between $1.60 and $4.00 per hour max. While its still more than forums like PostLoop , its still a lot of work for little reward.